Product prices and availability are accurate as of 2019-04-10 02:46:07 EDT and are subject to change. Any price and availability information displayed on http://www.amazon.com/ at the time of purchase will apply to the purchase of this product. 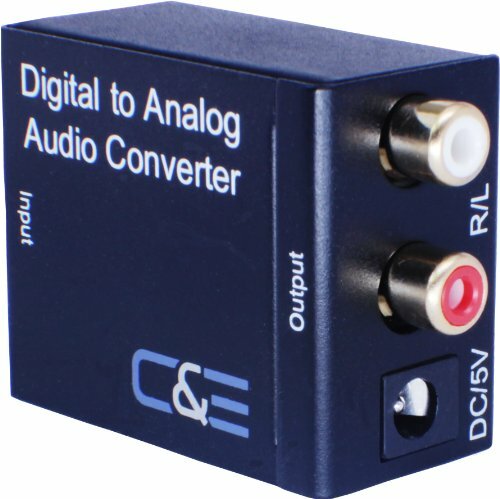 Overview this digital to analog audio converter is designed for either home or professional audio switching. 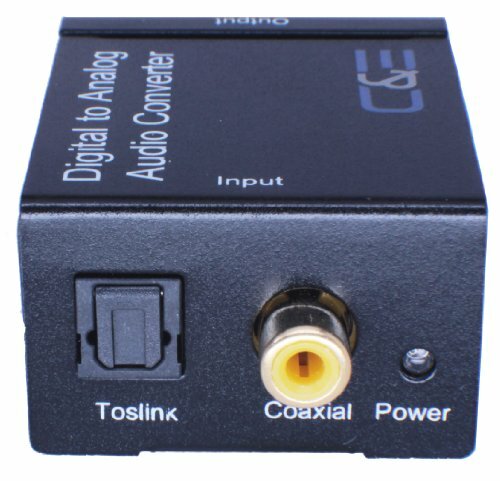 It converts coaxial or optical (to slink) digital audio signals to analog l/r audio signals for connection to an external device, such as an amplifier, via standard race-style jacks. This converter is small in size and quite easy to install. Specifications: Input audio - optical to slink or digital coax race , output audio - analog stereo (l and r) race. Sampling rate - 32, 44.1, 48and 96 kHz. Frequency response - 20 he to 20 kHz 0.15 db. signal to noise ratio ? 90db , crosstalk ? -85 db. distortion ? 0.004% Input power - 5 vice, 2A power connector size - 5.5 mm barrel, 2.1 mm pin , power consumption - 0.5 Watts (max) , dimensions (lxwxh): 51 x 41 x 26mm, weight - 78g , operating temperature: 0°c to +70°c , operating humidity: 10% to 85% RH (no condensation) , storage temperature: 10°c to +80°c , storage humidity - 5% to 90% RH (no condensation) , regulatory compliance - FCC, CE, UL. 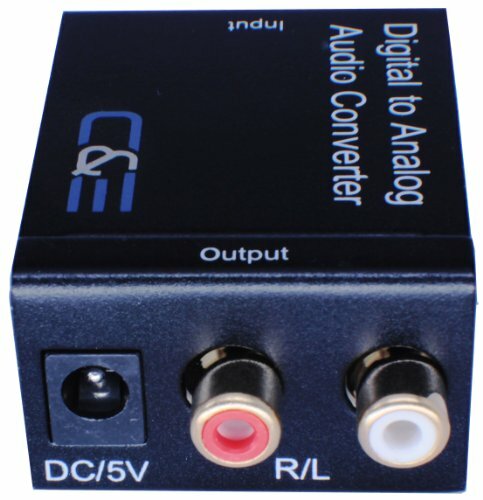 Digital Optical Coaxial (S/PDIF) to Analog Stereo Converter. Coaxial IN and Optical IN. Stereo RCA (Red/White) OUT. Audio Video Devices. Audio Converter. 24-bit S/PDIF incoming bit stream on left and right channels Provides electromagnetic-noise-free transmission.